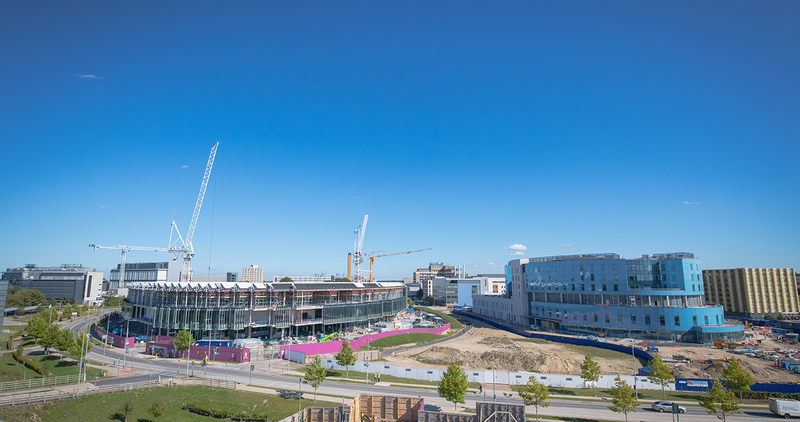 Pharmaceutical giant AstraZeneca is understood to be in talks to replace Skanska on its delayed flagship HQ project in Cambridge. Costs have skyrocketed beyond £500m on the vast project, which now looks set to be completed nearly two years late. Both AstraZeneca and Skanska refused to comment on the situation. But rumours are rife that Mace could now be in called in to finish the project at the Cambridge Biomedical Campus. The complex was originally due to be finished in the third quarter of 2017. Now the project is timetabled to finished in May next year. But sources claim this second extended deadline may not be met with the pharma giant now looking at a phased occupation of the building for its near 2,500 staff. Last year the Enquirer revealed the expected cost of the headquarters and R & D complex had soared from £330m to over £500m. A source said: “It seems the project is facing delays of approximately two years, caused by water ingress into the basement because of the high water table requiring a lot of remedial work. “There have also been issues with design and roof loadings. Skanska is understood to be working on a cost-plus basis and has been throwing resources at the site, including senior managers from its neighbouring Papworth Hospital project as this scales down. Earlier this year Skanska applied to the local council to extend working time on the project by 25 hours a week, ramping up permitted working inside the building from 7am to 8pm on weekdays and 7am – 8pm on weekends. This application blamed the overheated construction market and the inability to gain enough contractors to enable the construction timetable to be met. The project management switch comes at a torrid time for Skanska, which posted £33m of writedowns last year and delivered a wave of job cuts at its UK headquarters in Maple Cross. In June, Skanska suffered another major setback on its neighbouring £165m Papworth hospital project at the Cambridge Biomedical Campus after flammable cladding was found fitted to the building. This project was expected to open in September but will be delayed for several months while the substandard cladding is replaced. 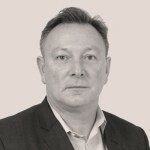 If Mace is confirmed as the new project lead at the AstraZeneca job, it would be the second time in a year that the firm has stepped in to take over a Skanska contract. Mace also replaced Skanska on the £1bn+ Phase Two contract at the Battersea Power Station redevelopment in London after the client revised its contract strategy on the project to construction management to control costs more tightly.